Let us know if you'll be leaving the site for an extended period of time. 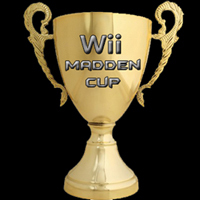 Sign-up for our FedEx Cup style tourney league (Wii Madden Cup) here. If you have a unique idea for a tournament we should do let us know here. Come here to join a tourney that is currently accepting players. View the brackets of tournaments to see who you play. Put the results of your tourney game match-ups here. WMC League Rules and Team Sign Ups can be found here. Official WMC League regular season stats. View a list of the current owners and their teams as well as the regular season schedule. Post your league game outcomes and stats here. Set up matches, post scores, and view player records for exhibition games here.